During each year’s painful process of budget planning, Ukrainian deputies and ministers speculate on the topic of privatization of state property and voice potential sky-high sums Ukraine will allegedly get from selling off its assets. UNIAN conducted an “audit” to find out what has been left of the generally valuable and liquid companies under state control, and how it would be best to set up the sale of these assets. Having investigated the most significant enterprises from the privatization list provided by the State Property Fund for 2017, UNIAN correspondents tried to filter out some outright rubbish with no value for potential buyers and identify those companies which are worth the investors’ interest. However, in most cases, that’s if they are sold fairly and quickly. Ukraine’s state assets are conditionally divided into big objects priced at over UAH 250 million and small ones, costing less. 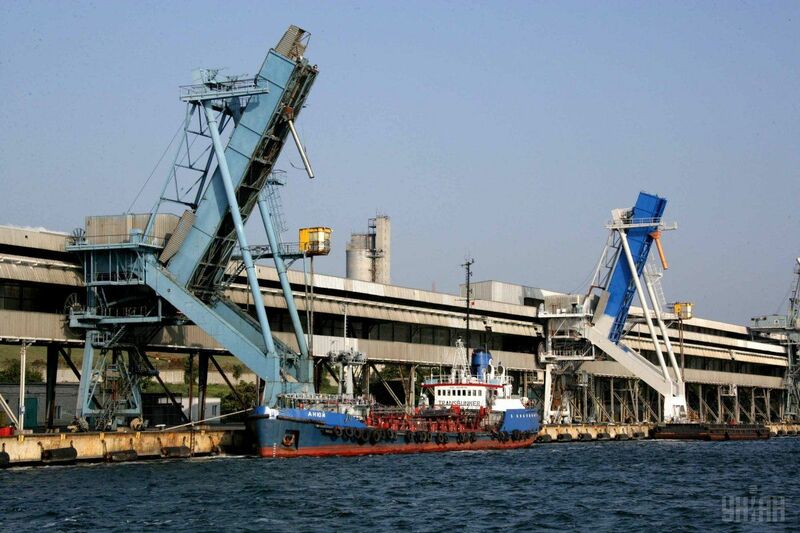 The most important of the big ones is Odesa Portside Chemical Plant. It is Ukraine’s second largest producer of ammonia and carbamide and the third largest producer of nitrogen fertilizers. The company is also an important logistics center for transshipment of chemical products exported from CIS countries via ammonia and product pipelines through the seaport, and a monopoly on the national market for receiving, cooling and reloading ammonia. At present, its main value is the pipeline, through which Russian ammonia flows to the plant. And this pipeline raises serious questions. The thing is that the company is the final link of the ammonia pipeline from Russia's Togliatti, which ensures an annual income of tens of millions of dollars just for the transit of ammonia. But Russia is now building its own transit point in the Krasnodar Territory, aiming to launch it as early as 2018. After that, OPP will at once become useless as an ammonia transshipment point. "Even if the Togliatti-OPP pipeline gets closed down, it is, first of all, a port, which is worth a fortune. And these are the things that are not really public, but the investors are well aware of them. This "cherry on the cake" is being held up for someone. And as soon as the price of the company drops to the level acceptable for that person, it will be immediately sold, "said Oleksandr Bondar, ex-head of the State Property Fund. Borys Kushniruk, head of the expert-analytical council of the Ukrainian Analytical Center, believes that the OPP could be an interesting asset at higher prices for primary commodities. With the current drop in prices, the margin for earnings is so small that it is no more attractive. Despite the plant’s hopelessly unprofitability in its field, its maintenance requires huge sums each month. "The OPP will remain in such condition for the entire period of a price-drop for raw materials, and the forecasts say it will last until 2023-2025. By and large, it would be better to preserve the plant, as has been done with such enterprises in many other countries," Kushniruk said. Ukraine can boast some tidbits in the energy sector. They are Khmelnytskoblenergo, Mykolayivoblenergo, Kharkivoblenergo, Ternopilobenergo, Zaporizhiaoblenergo and Cherkasyoblenergo. Now the authorities want to get rid of them because owning and managing these assets is a troublesome endeavor. Oblenergos (regional energy companies) have accumulated multi-million debts to suppliers, plus they can be used to quickly replenish the budget - these facilities, like everything energy-related, have always been attractive. Previously, the SPF stated that the starting price of each oblenergo will range between $10 mln and $60 mln. Now officials say it is not the purchase price that’s important but the volume of investments the buyer is ready to inject. Head of the National Energy and Utility Regulations Commission Dmytro Vovk believes that a stimulating tariff formation is a prerequisite for the effective privatization of energy companies. The special tariff, which requires changes to the legislation on the electricity market, is the crucial point in energy companies’ privatization. The authorities say future investment will be laid in this tariff. In other words, in order to attract the investors’ interest, the population will pay higher utility bills while the difference with the "normal" tariff will be laid in the buyers’ investment. Experts do not rule out that, judging by the tariff principle resembling "Rotterdam +", Rinat Akhmetov or related structures may become that major "investor" of oblenergos. However, no one can say for sure whether these structures will modernize these companies with all that money coming from the citizens. Another valuable state-owned asset is Centrenergo. It accounts for about 10% in the total volume of Ukraine’s electricity generation. Centrenergo incorporates three TPPs - Trypilska, Zmiyivskay, and Vuhlehirska, with the latter located almost on the contact line in the conflict zone in eastern Ukraine. In addition, a number of boiler units at Trypilska TPP are fed on anthracite, which is now a big deficit. Zmiyivska TPP is being modernized to use gas brand coal. The State Property Fund considered the possibility of postponing the privatization of this company to 2018, as well as the separate sale of the three thermal power plants. The SPF also stated that companies in China, Korea, and Turkey were interested in the asset. In 2016, the experts estimated Centrenergo at $1 billion. “Centrenergo is an object of interest only for those who has anthracite supplies. To date, it’s only Rinat Akhmetov. Indeed, the authorities said categorically that he would not be given the package of assets... Clearly, they won’t be given. They will - to some Cypris-based shell company, or some Austrian company, which will then be purchased by Akhmetov," Bondar stressed. Turboatom and Electrotiazhmash can also be attributed to the category of heavyweight assets. Turboatom is Ukraine’s only producer of turbine equipment for hydro, thermal, and nuclear power plants. Most orders used to come from Russia, so now the company is not in its best condition. In addition, the state owns 75.22% of the authorized capital at Turboatom, while more than 16% is jointly owned by venture investment funds managed by AMC Svarog Asset Management, associated with the oligarch, Konstantin Grigorishin. State Enterprise Electrotiazhmash Plant is subordinated to the Ministry of Economy and referred to as a strategic enterprise. It produces transport equipment for mines and railways, as well as turbo and hydro generators, and DC electrical equipment. Most orders also used to come from Russia. Its hydro generators account for 78% of the installed capacity of Ukrainian hydroelectric power plants. Nevertheless, Electrotiazhmash is not in the best condition either. 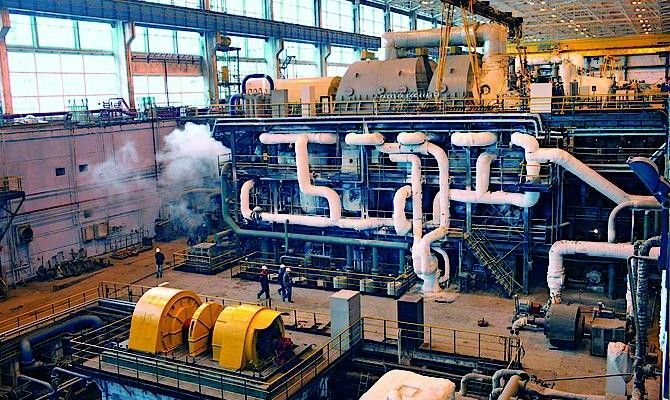 In 2016, the authorities even discussed the issue of merging Turboatom and Electrotiazhmash, aiming to increase Ukraine’s capacity to compete with the world's giants like General Electric, Alstom, and Siemens. No decision has been taken yet on the issue. And it is possible that the sale of these state assets will be postponed. Experts are sure there is no need to hurry with the privatization of these enterprises. To begin with, new markets need to be found for their products, they need to be upgraded, and only then will their purchase be attractive for international corporations. Otherwise, these industrial giants will go for pennies - and, most likely, to unscrupulous owners. Another important asset is Ukrspirt, which many say is the country’s major hotbed of corruption. 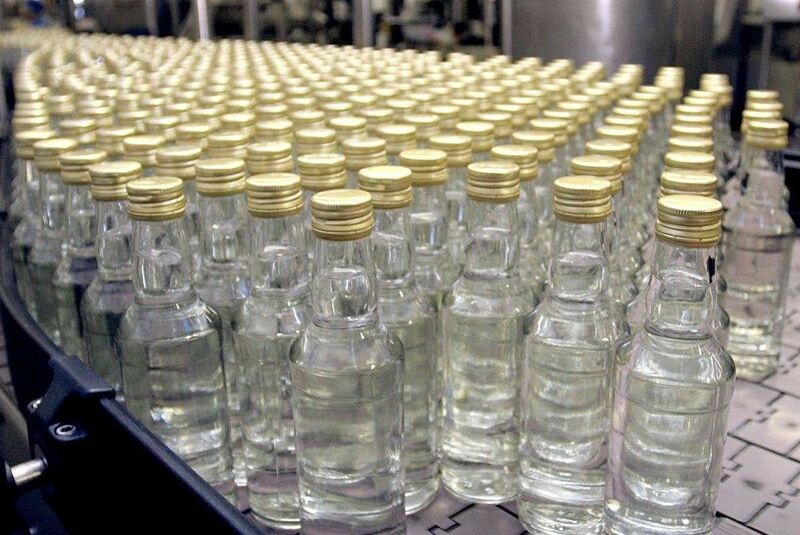 Market players note there are now 81 alcohol and distillery plants within its structure, but only 25 of them really work for Ukraine. All the rest remain in the shade. In addition, the deterioration of production assets increases the cost of production of legal alcohol by 20-30% compared with the EU. The steps taken by tax and law enforcement agencies to prevent the "gray" activities of “horilka”-producing enterprises have no economic effect. The only way out is privatization. To achieve the goal on the company privatization, the adoption of a relevant law by parliament is required. Also, before the privatization begins, the Cabinet of Ministers must approve the capacities of the existing distilleries. And only then will the SPF put them out on a public auction. 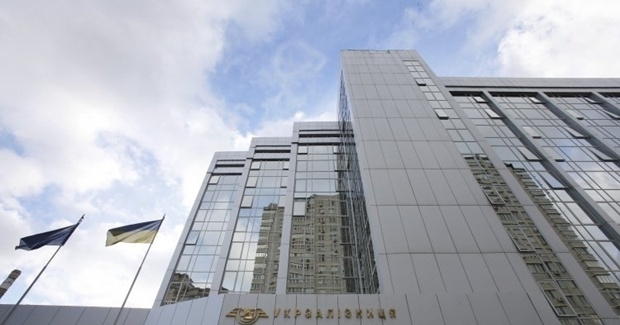 This year, Ukraine plans to sell 89 smaller companies with a price tag under UAH 250 million. This state property is wanted to get rid of as soon as possible. The authorities want to get them sold as soon as possible, with the bidding set to be carried out through a ProZorro.Sales online system. No legislation changes are needed in this case, just a number of decisions by the Cabinet of Ministers. And the decisions are already in place. Therefore, there is hope that the process will start shortly. It would be comforting to believe that the government was taken into account the fact that Pro.Zorro does not completely rule out corruption risks during the privatization process like the valuation of companies, and fulfillment of investment obligations. ProZorro.Sales only makes these and other abuses visible. Besides, there is another important issue. The price for most smaller companies has not been indexed. It was formed before the devaluation of the hryvnia. Apparently, the figures are really doubtful. For example, the official price of Kirovohrad Food Products Combine is UAH 23 million, while market players estimate it as three times as expensive. The privatization list-2017 also includes President-Hotel (until 1998, it was called Intourist). Built in 1990, the four-star hotel is estimated at UAH 330 million. There have already been two unsuccessful attempts to sell it. Participants in the real estate market believe that this time the hotel will also remain unsold, even though it is located in the center of the capital. First of all, this is due to the fact that the tourism market is going through hard times, and secondly, the object is huge and requires significant investment to have it upgraded. On the other hand, the price of UAH 330 million ($12.7 million) can play a decisive role. To get a picture, here is an example: 1 square meter in an apartment in a new building Kyiv’s Pechersk district, where the President Hotel is located, is estimated at $1,500-$1,800. The national balance sheet also includes a number of assets that are planned to be sold almost for nothing. We are talking about Kherson, Mykolayiv, Odesa and Dniprovska thermal power plants. All of them are monopolies in heat and electricity supplies to consumers within their regions. Also, they have all almost gone bankrupt. Their value in the process of their preparation for sale in previous years fell to the price of scrap metal, or buried heat supply pipes – that is, less than UAH 100 million. Getting rid of them, or rather, handing them over to someone who can fix everything, is unlikely to be a success. The situation is exacerbated by the debts of household consumers and organizations for central heating services, as well as the deterioration of equipment. Experts believe that, first of all, it is necessary to find a structure that will be engaged in the reconstruction of the TPPs, and change the companies’ management. Only then will it be appropriate to sell them. Otherwise, nothing will work out. Mr Kushniruk is convinced that large-scale privatization should begin with the sale of small and medium-sized enterprises. And, the faster it is done, the better. "In France, there are 80 enterprises in state property! And even they see regular scandals due to inefficient management where losses are incurred worth billions of euros. And what about Ukraine with its thousands of state enterprises, whose work cannot be effectively checked, and what is more, no one wants to check them? For example, I do not see a single argument that at least a single agricultural enterprise should remain in state ownership, and there are 600 of them. It is clear that these are sources for large-scale corruption abuses ... Therefore, medium and small enterprises need to be sold first. They need to be sold quickly for whatever money offered, just to eliminate the corruption zone. Its metastases are destroying Ukraine," Kushniruk stressed. Besides companies which Ukraine has spent years trying to sell, there are also the "untouchables," the so-called strategic reserve, which officials say are necessary as air to ensure economic security and protect the national interests. Unfortunately, these industrial monsters are mired in corruption scandals, full with debts before the very state that owns stem, and just keep devouring taxpayers' money. In fact, they are the largest feeding vein for corrupt officials in power. While the funds are being siphoned from these enterprises, nothing has been done to modernize them. One of such "strategic objects" is Ukrzaliznytsia (Ukrainian Railways), which is a monopoly in the country’s rail transportation sphere. The reform of Ukrzaliznytsia, which has been mulled for some ten years, began in 2015, with its formal transformation into a public joint stock company. This was probably where all the innovations halted. At the same time, corruption scandals never stopped rocking the company’s boat, while billions of hryvnias of state support continue to flow in. Meanwhile, the life period of 80% of Ukrzaliznytsia’s rolling stock has long expired. The company says it lacks funds to carry out an upgrade, claiming it is forced to raise tariffs. This story is repeated year after year. Experts have long suggested that the company be divided into regional rail road offices and given to investors who can restore order. 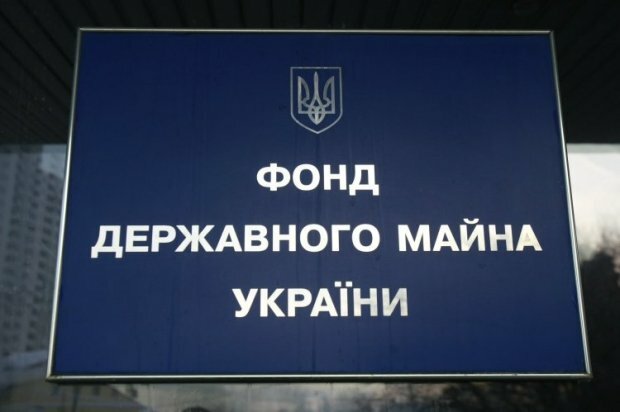 But in 2016, on the eve of yet another announcement of large-scale privatization, the Verkhovna Rada included Ukrzaliznytsia in the list of companies banned from sale. Another "untouchable" state-owned asset is Ukrenergo, the company which operates trunk and interstate power lines, also being a central dispatcher of the country’s united power grid. The company has in its structure dozens of subordinate businesses. It is with their activities that numerous corruption schemes are related in the country's energy market, while the enormous financial flows lead to the top of Ukrenergo. Suffice it to recall the scandal in 2015 when the investigation said in its final statement that corrupt deals concluded by Ukrenergo led to over UAH 250 million in losses to the state budget. By the way, at that period there were some tentative discussions about the need to sell the asset but then a number of laws were passed effectively prohibiting its privatization. Ukrhydroenergo is another stone on the state’s neck. It is the operator of the country's hydropower system. The company consists of seven large hydroelectric plants (HPP), one operating pumped storage plant (PSP) in Kyiv and another one under construction, Dnistrovska. Ukrhydroenergo also remains on the lists of "untouchables". Meanwhile, the company's losses, in spite of receiving endless investment tranches for the construction of HPP cascades and modernization of older units, are traditionally around UAH 1 billion. Experts are convinced that the company can be attractive to a private investor, at least because the operating life of hydraulic units is up to 100 years, while the renewal of existing facilities is much cheaper than, for example, in nuclear power industry. As a resolve, the government offered the company’s partial privatization. But the lobby of those who keep digging cash out of this bottomless barrel has not yet been overcome. 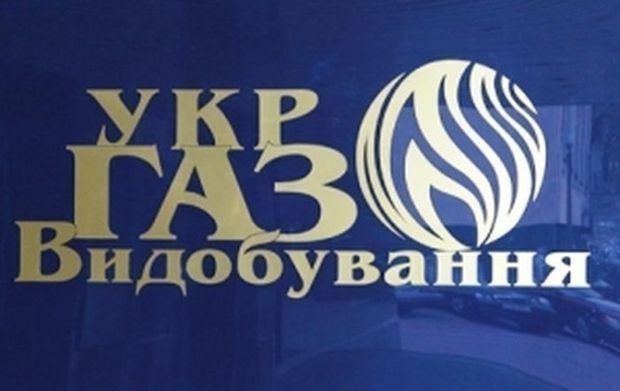 Ukrtransgaz was also once offered to be partially privatized. Now the company is engaged in the process of gas market reform, but the facilities under its control - underground gas storage facilities and the gas transmission system itself - have long been in need of privatization, not just transition from one state manager to another. Western investors have repeatedly suggested joining the operators of the national gas transportation system, but gas flows are too “sweet” for certain corrupt officials, who earn billions off of them. Incidentally, this can also be attributed to Ukrgazvydobuvannia, which cannot pass a year without another corruption scandal. The extraction of Ukraine’s own gas is not growing, while this should be the main priority, in view of Ukraine's will to secure energy independence, while the confirmed gas reserves allow to stick to such strategy. But, instead of gas production, the company keeps purchasing of towers, platforms, and other equipment, which arrive in Ukraine at greatly inflated prices. The authorities have also struggled for some 15 years to include Antonov aircraft design bureau in their privatization lists, but this never happened. First, that was in view of the risk that Russia could have taken over this state asset or NATO (which were earlier considered potential rivals). Later, time was missed, and Western investors simply lost their interest in the flagship of Soviet and Ukrainian aircraft manufacturing (more precisely, their interest was limited only to technical documentation for aircraft production). The state concern includes the Antonov Airlines and the Civil Aviation Plant 410, operated by Ukroboronprom. A very good option to ensure growth for Antonov would be deeper cooperation with foreign manufacturers. The government is currently working in this direction, but the specifics have not yet been made public. River and sea ports of Ukraine have also failed to be sold (11 seaports, another five in the occupied Crimea, and 11 river ports. The earnings from cargo and passenger transportation are anything but transparent. For decades, money has been written off for "dredging" and "berth construction" but they never appear in privatization lists, although the plans have long been drafted to sell them or allow equity participation of investors). Ukraine also owns defense enterprises and NJSC Energoatom – these are probably the only objects on the long list of state property that would not have been worth selling in the current realities of the ongoing hybrid war. To make their operations transparent and increase their effectiveness, perhaps a concession scheme would help - a way of partnership between the state and private capital, when the state property is operated by a private investor. Negotiations on the issue are underway, the sources say. It’s just that they are way too slow. “We have more than 3,000 enterprises in the state ownership, and many of them exist only on paper, they have been plundered to the core. A priori, the state is an inefficient owner. As a result, Ukraine incurs losses of fantastic proportions," the expert concludes.